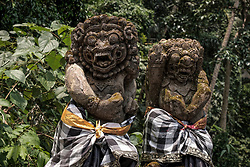 Gunung Lebah Temple is a historic temple which stands on a protruded rock in Ubud, opposite Murni's Warung Restaurant. 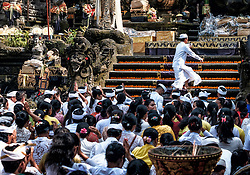 The temple was built in the 8th century. 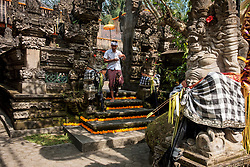 Enthralled by the picturesque valley and the soothing waters of the two rivers, the High Priest Rsi Markendya decided to build a temple on the grounds. 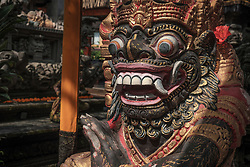 He was responsible for building most of the major temples on the island. 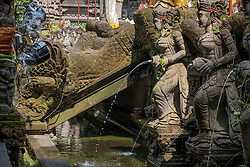 The name of this temple translates to ‘small hill’ in the local dialect, a fact that can be attributed to its location at the valley where the tributaries of the river Sungai Cerik merge. 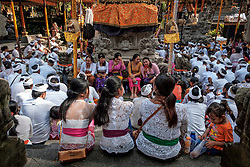 It's most colourful during its Odalan temple anniversary. 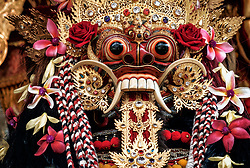 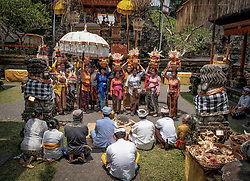 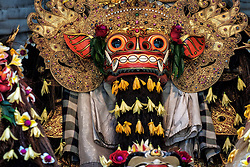 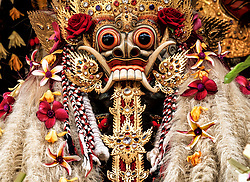 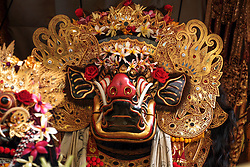 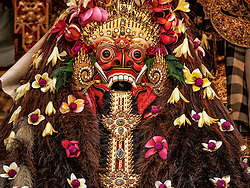 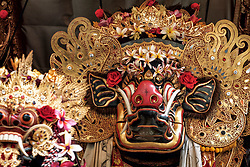 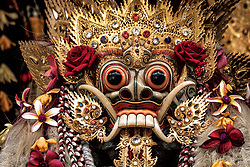 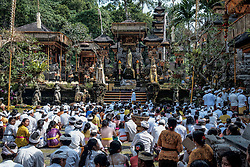 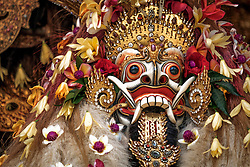 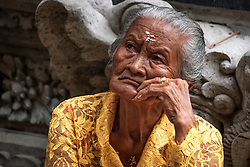 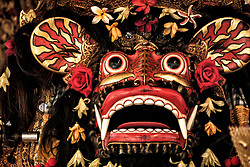 This occurs every 210 days on a ‘Wuku Sinta’ Wednesday on the Balinese Pakuwon calendar.